Succession plans do for nonprofits what wills or testaments do for us as individuals — they help us plan for our future. As an executive director, when you engage in succession planning, you’re thinking ahead to everything your successor and others will need to know and do to carry on the good work your organization does after you’re gone. As a board member, you’re thoughtfully planning to ensure that the organization is able to stand the test of time under a new leader. According to Bridgespan research stretching back more than a decade, succession planning remains the number one organizational concern expressed by nonprofit boards and CEOs. Despite this, BoardSource’s Leading with Intent survey indicates that only 33 percent of boards nationwide have an executive succession plan, but one-half of all CEOs intend to leave the post within the next five years. We strongly encourage organizational teams comprised of a staff and board members attend the workshop together. The workshop is on Tuesday, September 26, 2017 with an option to attend a morning session (9 am-12 pm) or afternoon session (1:30 pm-4:30 pm). The workshop is free; however, registration is required. The registration form will ask you to select either the morning or afternoon session-click here to register. The workshops will be held at the Greater New Orleans Foundation Center for Philanthropy in the Entergy Nonprofit Resource Center located at 919 St. Charles Ave. in New Orleans. Please contact Rachel Swan at rachel@gnof.org or 504.598.4663 if you need additional information. About Our Presenter: Tammy Dowley-Blackman, a graduate of Oberlin College and Harvard Graduate School of Education is an author, entrepreneur, leadership expert, nonprofit executive, philanthropic leader and professor. 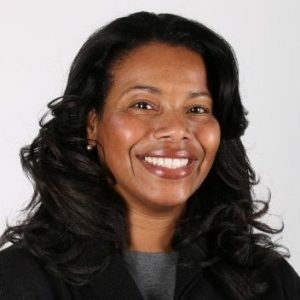 Ms. Dowley-Blackman is the former Executive Director of two nationally-affiliated nonprofits and the founder and Principal of the consulting firm–tdb group. In addition, she served for eight years as the founding Director of the Proteus Fund Diversity Fellowship, which was designed to be a leadership pipeline for attracting more people of color to the philanthropic sector. As a volunteer, Tammy Dowley-Blackman provides leadership as the Chair of the Board at Third Sector New England, as a member of the Board of Overseers at the Isabella Stewart Gardner Museum and as a Board member at Social Capital Inc.